Here at The Digital Restaurant, we think that restaurant email marketing is one of the most poorly used marketing tools by restaurateurs. Period. Email marketing is incredibly cost-effective, very personal and doesn’t rely on someone else’s platform. 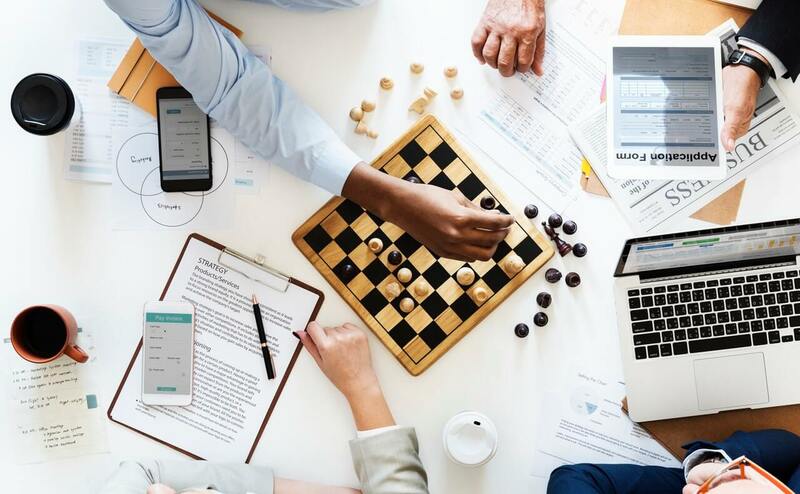 It is a way of communicating directly with your customers and provides you with a fantastic opportunity to get them back through the door. So why the heck don’t more restaurant owners use it? We don’t know. 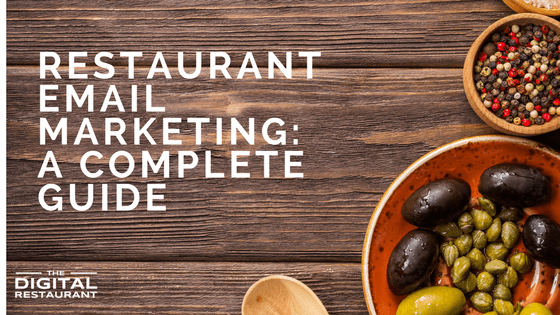 But we hope this complete guide to restaurant email marketing will open the eyes of owners and get more people using this fantastic marketing platform. Why use restaurant email marketing? There are many, many reasons why email marketing is essential for restaurants. If you’re reading this guide you probably are already aware of some of them. But let’s just take a second to recap why we should care about email marketing for restaurants. 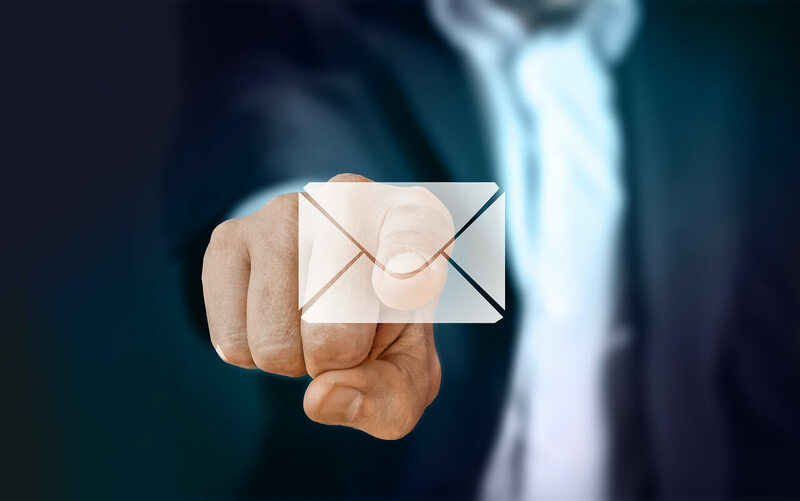 Whether you want more customers, want to encourage repeat visitors or just connect with your customers, email marketing can help. Now we know why we should use email marketing, let’s look at exactly how we can create a campaign from start to finish. There will be a lot of points to follow here so it might be a good idea to keep this guide up as you go along. It’s no good having a series of amazing emails and generous offers if you have no one to send your emails to. That’s why the foundation of every email marketing campaign is your database of emails or your ‘list’. The good news is you probably already have a collection of emails and if you don’t it’s easy to start. If you don’t have a list of emails in one place, search back through your system and collate all of the emails that customers have given you for online orders, online bookings and any other occasion they may have passed over their data. Store it all in an excel spreadsheet. If you’ve never collected customer data, now is a great time to start. Make sure you always store the info given in the instances above and encourage customers to share their data in return for deals. Make it easy to sign up. But also make it easy to unsubscribe. You don’t want to get marked as spam. Unless you want to do an awful lot of work, you’re going to want to find an email provider to set up and send the emails on your behalf. The good news is there are lots of options to choose from. The bad news is that this can make it difficult to decide. In truth, all of these providers are much of a muchness and unless you are dealing with millions of email addresses, it is not going to matter too much. We recommend using MailChimp, simply because they are easy and free up to 2000 subscribers. If you want your customers to look forward to receiving your emails, you’re going to have to put some effort into making them look nice. Luckily, most platforms (like MailChimp) let you create emails directly on their platform. Most have drag and drop builders that make it easy for you to create beautiful emails without learning to code. Of course, there’s nothing wrong with hiring a marketing company if you want to really make your emails stand out.The most important thing when creating emails is to make sure that they are mobile friendly. A significant portion of your customers will be opening your email on their phone. If it isn’t optimized for smartphones and they have to zoom in and move around the screen to read what you have to say, they’ll probably just delete it. One of the most common questions are clients ask when it comes to restaurant email marketing is what on earth to include in them. This will depend largely on your restaurant but the general wisdom is to inform customers of specials, menu changes and promotions. If you think you could do better at getting repeat customers through the door, you might want to regularly send out coupons. If your menu is always changing, it is important to let customers know so they can come back and try a new dish. You get the idea. Write about things that entice customers. No one wants to hear how your weekend went, but they do want to know about the new cut of steak you are serving. A lot of marketers worry about when to send their emails. Should the send them on a Monday at 2pm or on a Thursday at 9am? This should be the least of your concerns. The most important thing is to make sure that you have an email to send out and a mailing list to send it to. What you definitely shouldn’t do, however, is to spam your customers with several emails a week. Make sure that you send a maximum of one email a week, otherwise you risk customers getting fed up and unsubscribing. We have a whole blog post dedicated to advanced restaurant email marketing strategies. But if you don’t have the time to read it (we recommend that you find it) here are some advanced strategies you can start implementing to boost your open and conversion rates. Virtually every email marketing platform (MailChimp included) will let you segment your audience in order to offer further personalization. This means separating your audience by eating preferences (veggie, vegans, etc. ), by age, by location, or by any other criteria you can think of. Doing so allows you to send more personalized emails that are often much more enticing to customers and will usually lead to higher open and conversion rates. If you already have a customer loyalty program or are thinking of setting one up, make sure that you integrate email marketing into it. Use email to keep in touch with loyalty members, offer them exclusive deals and generally make them feel cared about. If online orders have been a source of email addresses for you, make sure that you are following up with customers to find out how their meal was and whether they have any feedback. You can set up automatic emails to fire off to online customers after a few days of your order. That way you don’t even have to write them yourself. As always our team at The Digital Restaurant are on-hand to provide the help you need to succeed. We can create, run, manage and optimize email marketing campaigns for your restaurant without you having to lift a finger. Sound convenient? Talk to us today to find out more.